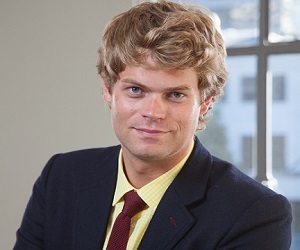 The Auckland District Law Society Incorporated (ADLSI) has today announced the appointment of England and Wales qualified solicitor and barrister, Ben Thomson to the role of documents and precedents manager. As part of the ADLSI management team, Thomson’s primary responsibilities are managing and maintaining the organisation’s portfolio of legal forms and documents such as the agreement for sale and purchase of real estate, overseeing the review and update of the Legal Practice Manual and providing secretarial support to four ADLSI committees. Thomson, who studied law at Kings College, London, has experience in the areas of family law and defendant insurance litigation as well as contract law, property law and criminal law. He worked for Wales’ largest law firm, Hugh James, before moving to a smaller practice where he had the opportunity to practice childcare law. Sue Keppel, ADLSI chief executive, says Thomson is settling in well.